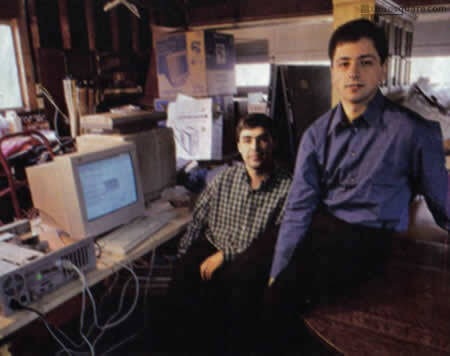 Google has bought "the Silicon Valley home where co-founders Larry Page and Sergey Brin rented a garage eight years ago" and started the company, reports AP. They'll pay an undisclosed amount to Susan Wojcicki, who is now Google's Vice President of Product Management. Google talks about its history in a hilarious way: "In September 1998, Google Inc. opened its door in Menlo Park, California. The door came with a remote control, as it was attached to the garage of a friend who sublet space to the new corporation's staff of three. The office offered several big advantages, including a washer and dryer and a hot tub. It also provided a parking space for the first employee hired by the new company: Craig Silverstein, now Google's director of technology." The house is barely visible in Google Maps and it's already a touristic attraction. "We plan to preserve the property as a part of our living legacy," said Google spokesman Jon Murchinson. And the British press was asked not to give the address!